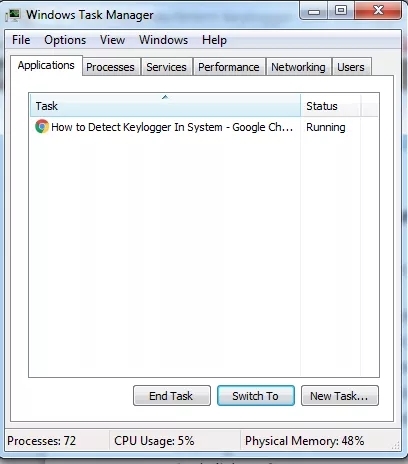 Remove all kind of Keylogger viruses from your computers easily without installing any programs or antiviruses on your computer and also know some best methods to prevent the Keylogger attacks. Today the computers have developed too much with this development the risks to the security has also been increased. One of the main reason for the safety of all kind of computers either they are personal computers (PCs) or used by the companies is to keep the privacy by locking the different types of an account by usernames and passwords. But many people in the world are always interested in our personal data and privacy, so they use various methods to access or hack our computers and the accounts which we use on the internet. Keylogger is small software, or you can say a simple program which notes the each and every key stock of your keyboard. It means every word which you type is saved in a log file and is sent to a person who creates that Keylogger. A software Keylogger is a program which is installed on your computer by the hackers or those persons who are interested in hacking you. 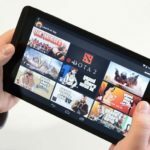 Once they are installed they record every critical stock of your keyboard, these programs work on the background process and are typically not shown in the list of installed programs so sometimes they are not detectable. They can be very dangerous. A hardware Keylogger is always in the form of a hardware device such as in the shape of USB (Normally). They are attacked at the back of your system they may be more dangerous than the software Keyloggers because they cannot be detected in the list of installed programs or background processes. The person (Hacker) who wants to track or hack someone (Victim) installs the Keylogger in the computer of his victim in any way. There are some ways to do this if the hacker is very expert then he can write such code that you will just download a video and Keylogger will automatically install on your computer. OR you will just play a video online I mean to say there is not only one way he can install the Keylogger manually on your PC. If he has a physical access to your computer the main thing to say this is to you cannot imagine the means which a hacker can use to install the Keylogger on your computer. The working of the Keylogger is very simple once it is installed on your PC it will create a log file of your all activities only your key stocks. But the best one can also trace your location by tracking the IP Address, Note the history, Your activities on your computer and everything you do on your computer and sends that log file to a person either his email or a web hosting site. How To Prevent Your Computer From Keyloggers? If you are not aware that a Keylogger has been installed on your computer or you thing that someone wants to hack your accounts or your personal information using any Keylogger then you can do a simple method to protect your accounts from hacked that is to write everything in a notepad first and then copy that in the required fields for example, if you want to log in to your Facebook account then first open the notepad go to the Start > All Programs > Accessories > Notepad. There write your email and copy it in the email field of the Login page. Write the password in the same way because most of the Keyloggers cannot detect the writing on the Notepad. Malwarebytes is the best software to remove all kind of viruses from your computer including the Keyloggers installed on your computer. Because the primary purpose of any malware is to get the information of the users where it is installed and the Keylogger is also the same thing. Malwarebytes was created to remove Malware from the computers, but it can also remove all kind of Keyloggers from your PC easily. After installing launch the software and enable the “Perform full scan” option and click on the scan button. Depending on the size of your Hard Disk it will take some time while scanning and finding Malware and Keyloggers on your computer. After the Malwarebytes has successfully scanned your computer, a popup will appear having a message just click on the “OK” button and skip this. In the main screen click on the button saying “Show Results” and all the Malware or Keyloggers currently installed on your computer will be displayed on the screen. Now select all the viruses and click on the “Remove Selected” button to remove all the Malware and Keylogger and your computer will be completely saved. If Malwarebytes asks you for a reboot, just let it because it will delete some files which will be working on your computer while offline it can do this easily. When Malwarebytes have successfully removed all the viruses from your computer you can just exit the program. So, this was all about to remove all kind of Malware and Keyloggers if they are installed on your computer. Important Note:This method will not remove the Keylogger permanently; in fact, it will just disable the Keylogger for the time you will use the computer for the next time when you will on the computer the Keylogger will be started again. 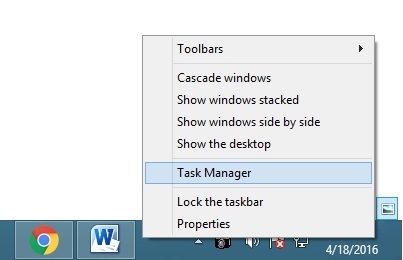 If you are using the Windows 8 or 10 then Right Click on the Toolbar area (Empty Area) and select the Task Manager there. But it you are on the Windows 7 or older then press this combination of keys together, Shift + Alt + Delete to open a new popup and select the Task Manager from there. 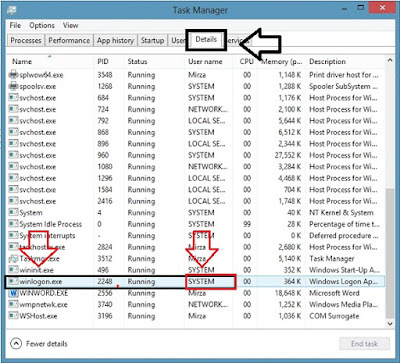 When the task manager is open, you will see the current programs running on your computer just select the Processes tab from there. But if you are using Windows 8 then look for the Details tab. 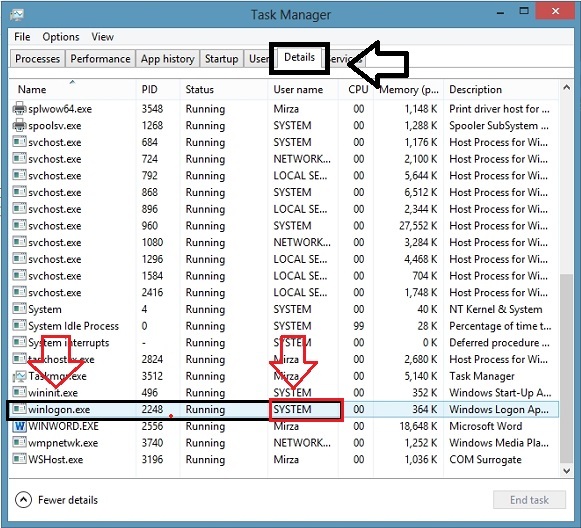 In the background processes, you have to find winlogon.exe if you find this then look any other program near it having Username which is not a part of your Windows. Any unique name which you have not see before. 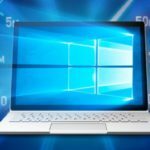 Winlogon.exe is a subsystem of the Windows, which is a kind of virus and comes with the installation of the Windows on the computer the purpose of this program is to check the activities of the users of the Windows. It is generally located in C(Windows Drive):WindowsSystem32. If you find something then just select that by left clicking and select the “End Task” button. That’s it you have successfully disabled the Keylogger installed on your computer without using any software. Here in this method, I will show you how can you remove any Keylogger installed on your computer easily without installing any software or antivirus on your computer. In the Control Panel home select Programs. 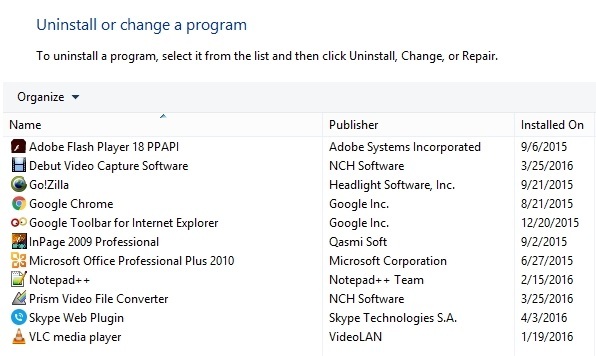 A list of installed programs will be shown before you. 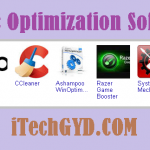 Look at each program which installed if you find any program which you have not installed then right click on it and select the Uninstall there by doing this all program of the Keylogger will be removed permanently from your computer. Never install Programs from any unknown resources especially if you are using Windows 8 or later then use the Windows Store to download and install programs. Remove all those programs from your computer which you had installed earlier and are not using them by doing so you can increase the speed of your computer. So, this was a simple and easy method to remove installed Keylogger from your computer easily. 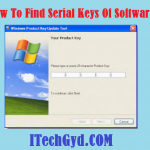 Friends all of the method describe above was about How To Detect And Remove Keylogger From Computer PC 2019 by following these methods you can remove all kind of Keylogger from your computer easily in just a simple time. Protecting yourself from the Keylogger and Viruses is very important, in fact, it is as important as food and water for us so I recommended using the first method that is the use of software because it will find those infectious files which you cannot. At the end, i suggest you to must use this method to protect your personal computer from hackers. 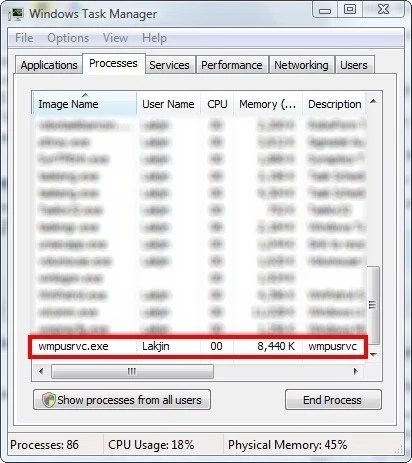 Many people find such suspicious files in their PC and they become worried and you what? You can’t delete them directly. Therefore you’ll have to apply above techniques to sort out the problem. Some people have important data in their system which they can’t share with others. If you are one of them, then you must spend some time in your PC for finding the files otherwise your data will be hacked. There are a lot of hacking cases in the world so you’ll be aware of them. 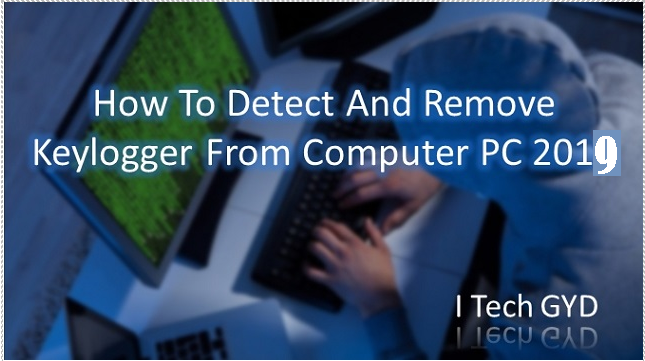 This method works well so you don’t need to be worry about keylogger virus. I am sure you all have this file in your system. My opinion is to check your system right now, i am sure you’ll definitely find this file. In case if you found, just follow the above step by step guide of how to remove keylogger virus from PC and remove it. This is very easy step even a teen can do it easily. You can also share this post with your friends and family and help them to remove virus from their system. We know it is the era of smart phones but people still use computers to do their important tasks. If you have any question related to virus, you can ask in the comment section. So, good luck and follow these steps, i am sure your system will remove the file easily.